Separately, officials say a fourth fire was “intentionally set” on March 31 at the Vivian United Pentecostal Church, a predominately white church roughly three hours north in Caddo Parish. The narrow window in which the fires took place has raised fears that racial motivation may be at play. The fires have also rekindled painful memories of the violence that frequently targeted black churches in the South during reconstruction and the civil rights era. That violence has continued in recent years with incidents such as the 2015 shooting at the Emmanuel AME Baptist Church in Charleston, S.C., when a white supremacist fatally shot nine people. The congregation of the Greater Union Baptist Church was preparing to celebrate the 130th anniversary of its construction this July. “This is my family church. My family has been in this church for over 100 years, going back to my great grandparents, so when I heard of the fire, I was devastated. And I am still uneasy. I am still hurt,” Milburn said. NPR’s Michel Martin talks to Gil Kerlikowske, former commissioner of U.S. Customs and Border Protection, about how illicit drugs end up in the United States. Donald Kohn, senior fellow at the Brookings Institution, talks to NPR’s Michel Martin about President Trump’s proposed appointments to the Federal Reserve Board of Governors. In the #MeToo era, what does accountability look like for politicians accused of misconduct? NPR’s Michel Martin takes that up in the Barbershop with Emma Coleman Jordan, Monica Hesse and Paul Butler. An archeologist holds an ancient mummified bird, found in a burial site unveiled on Friday. The recent discovery of mummified cats in a well-preserved tomb probably shouldn’t be surprising. It’s a long-established fact that Ancient Egyptians loved cats. What’s perhaps more remarkable, however, is the fact that a tomb unveiled on Friday contained a sort of mummified menagerie of 50 animals — and there were mummified mice and falcons in addition to the cats. The Tomb of Tutu in Sohag contains mummified mice and falcons, pictured here. Waziri told Reuters the tomb contains a lobby and a burial room with two stone coffins. It is said to have been built for a man named Tutu and his wife. The area outside the burial chamber also contained mummies of a woman and a boy between 12 and 14 years old. The newly discovered site also contains well-preserved wall paintings. The walls of the tomb depicted funeral processions, images of the owner, Tutu, and his family genealogy. This animal-filled tomb is part of a series of recent archaeological discoveries in Egypt. 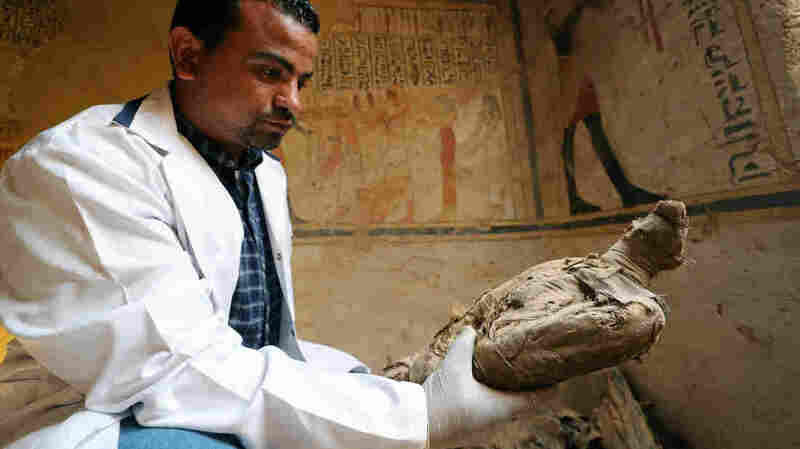 According to Reuters, the tomb was one of seven burial sites found near the Egyptian town of Sohag last October. Smugglers were illegally digging for artifacts in the area and authorities found them. 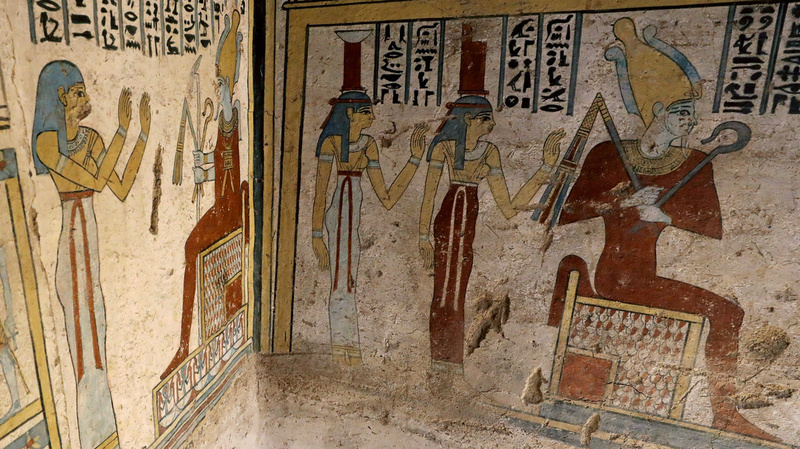 Another tomb was unveiled in Saqqara, outside of Cairo, in December. 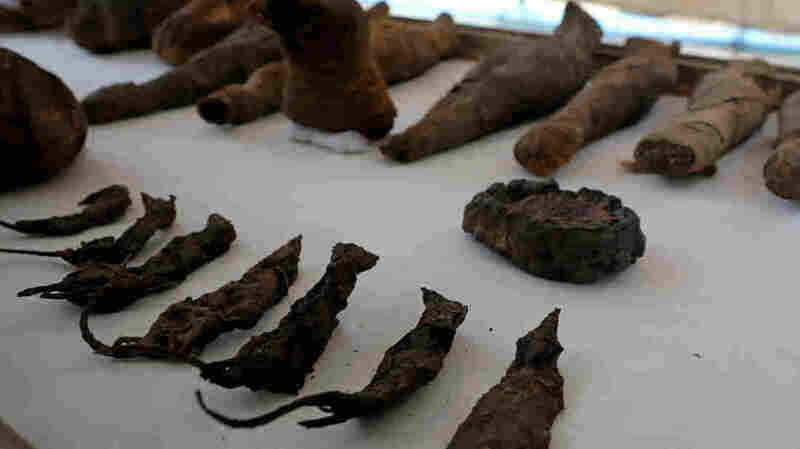 Dozens of cat mummies and 100 cat statues were also found in Saqqara in November. February, 2018 saw the unveiling of another 4,400-year-old tomb. As NPR’s Laurel Wamsley reported, Egypt’s Ministry of Antiquities sees the announcement of new discoveries as a way to attract tourists. Tourism in Egypt slowed for years after the 2011 revolution. In December, The Associated Press reported that the industry has yet to recover, even though visits are gradually increasing. A new Grand Egyptian Museum, a project costing more than $1 billion and financed largely by Japan, is set to open in 2020. NPR’s Scott Simons remembers the late former Sen. Ernest F. “Fritz” Hollings with journalist Kirk Victor, who collaborated with Hollings on his 2008 book, Making Government Work. 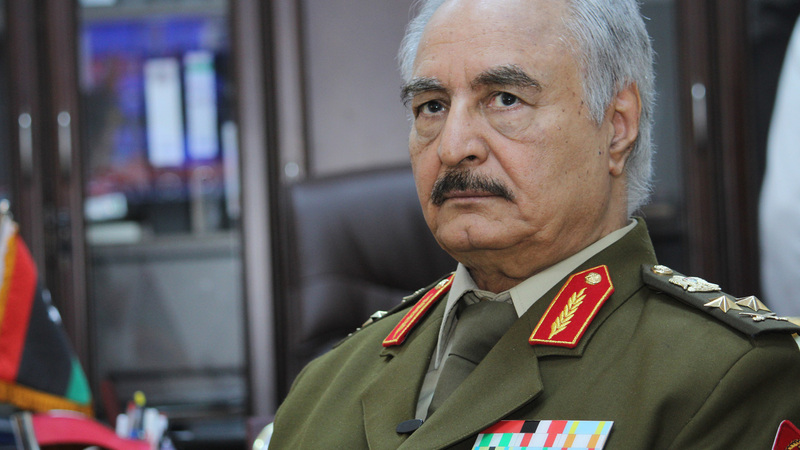 Gen. Khalifa Hafter is Libya’s former top army chief. He now leads the Libyan National Army, which is advancing toward the U.N.-backed government in Tripoli. International concern is mounting over the situation in Libya. The Libyan National Army, led by Khalifa Haftar, says it has now advanced into the southern outskirts of the capital Tripoli, where the U.N.-backed government is located. G7 foreign ministers have urged an end to the fighting. “We urge all involved parties to immediately halt all military activity and movements toward Tripoli,” the body, which is composed of the foreign ministers of Canada, France, Germany, Italy, Japan, the U.K. and the U.S. wrote in a statement. The fear, according to The Associated Press, is that the Libyan National Army’s advances toward the capitol could lead to “a major showdown with rival militias.” Both the Libyan National Army and the U.N.-backed government have various militias supporting them. United Nations Secretary-General Antonio Guterres left Libya on Friday. He met with Gen. Haftar and then told journalists he was leaving Libya “with a deep concern and a heavy heart.” Guterres has insisted that Libya needs a political solution, not a military one, and said the U.N. is available to facilitate a peace process. Libya has been extremely unstable since NATO-backed forces deposed its former dictator Moammar Ghadafi in 2011. In a 2016 interview with Fox News, former President Barack Obama called his handling of the aftermath of that revolution the worst mistake of his presidency. Obama has said the U.S. should have done more to fill the vacuum left by Ghadafi. By 2014, Libya had devolved into a civil war, and ISIS had become increasingly influential there. According to Reuters, the U.S. provided air support to Libyan forces fighting ISIS in 2016 and continued to launch strikes on suspected militants there after the end of that campaign. A study conducted by the New America Foundation found that at least 2,158 airstrikes and drone strikes were conducted by foreign and domestic powers in Libya between September 2012 and June 2018. According to the study’s estimates, between 242 and 395 civilians were killed in the strikes, and between 324 and 524 were wounded. New America found that the Libyan National Army, led by Haftar, conducted 1,112 of those airstrikes. The United States conducted 524 of them. In addition to political and military chaos in Libya, there have also been reports of gross human rights violations there. Last year, the United Nations human rights office found that the country contained “open slave markets” where migrants were bought and sold. According to Reuters, various armed groups control many of the country’s ports and beaches. 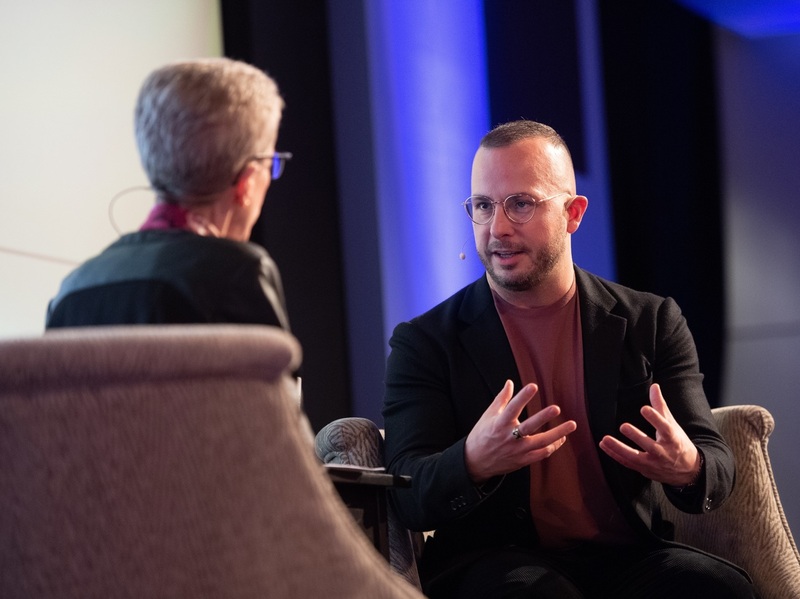 Fresh Air‘s Terry Gross interviewed conductor Yannick Nézet-Séguin before a live audience at WHYY on April 2, 2019. For Conductor Yannick Nézet-Séguin, Making Music Is ‘Like A Religious Call’: Nézet-Séguin uses every part of his body when he conducts — including his eyes, eyebrows, shoulders and feet. He’s the music director at New York’s Metropolitan Opera and the Philadelphia Orchestra. Overlooked In The ’70s, ‘Wanda’ Finally Gets Her Due: Written and directed by its star, Barbara Loden, Wanda is based on the true story of a crime gone wrong. A restored version is now out from the Criterion Collection. A Psychotherapist Goes To Therapy — And Gets A Taste Of Her Own Medicine: Lori Gottlieb is a psychotherapist who started seeing a therapist herself after the man she thought she would marry unexpectedly broke up with her. Her new book is Maybe You Should Talk to Someone. 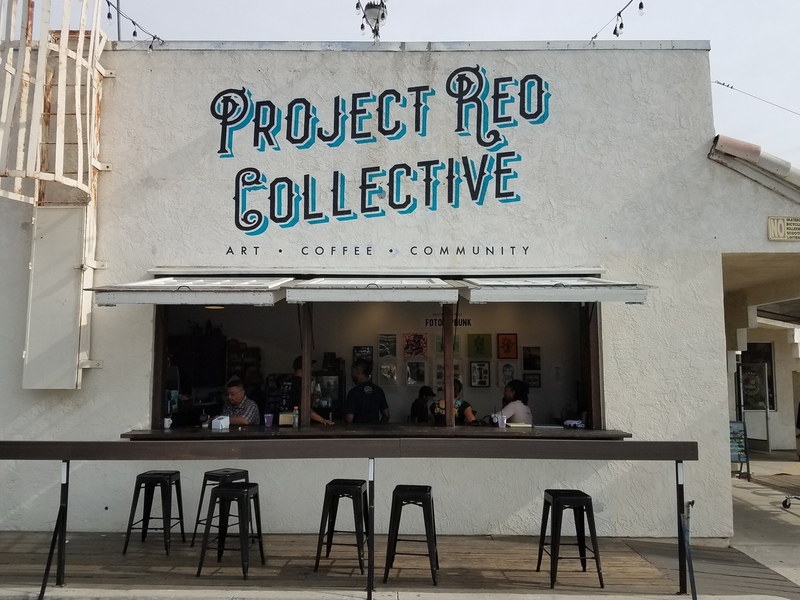 Project Reo Collective is a coffee shop in San Diego’s Paradise Hills neighborhood that had trouble getting a bank loan to expand after a year of operation. It’s not uncommon for people who want to start businesses in lower-income neighborhoods to have trouble getting bank loans. But increasingly, there are investors looking specifically to help businesses in those areas, with the aim of reversing the cycle of disinvestment. Her company’s goal is to fill the gap between more traditional profit-motivated investing and philanthropy that focuses on economic development. One business that could have used help like this is Project Reo Collective, a coffee shop in Paradise Hills, a lower-income neighborhood of San Diego. The coffee shop is situated in a small strip mall near a Mexican restaurant and a cell phone store. On most days, the cafe is filled with people working on laptops or hanging out while drinking Mexican mochas or lavender lemonades. 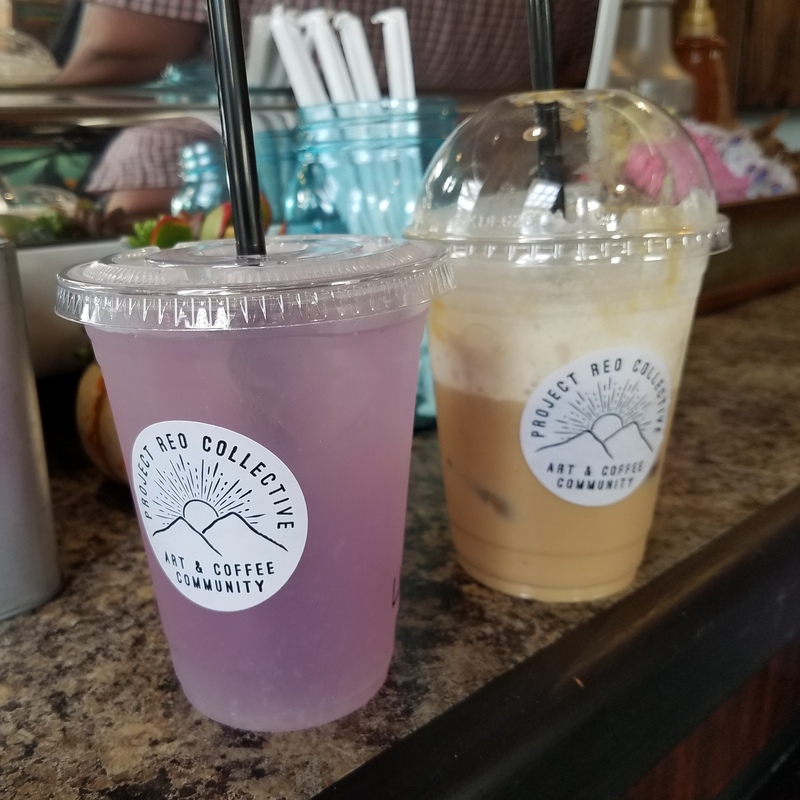 Two specialties of the Project Reo Collective coffee shop are its lavender lemonade and Mexican mocha. You have a cycle that kind of perpetuates that neighborhood being less friendly to business. Businesses don’t get started. So employment stays depressed. The job opportunities aren’t there in the neighborhood. Businesses that are there don’t expand. Walker says that after a successful first year, he went to a bank asking to borrow $4,000 for an espresso machine. But, he didn’t have any luck. “They said, ‘No, you guys don’t qualify because you haven’t been around long enough,’ ” he says. Having trouble getting a small-business loan like this is typical, according to data compiled by the nonprofit Woodstock Institute in a report titled “Patterns of Disparity.” It shows that between 2012 and 2016, only about one in five businesses in low-income areas across the United States received bank loans or even business credit cards. That’s compared with almost three in five businesses in higher-income areas. He says it can also drive businesses to predatory lending. I had two years of experience with profit, but I got rejected for every loan I tried for. That’s what happened to Natalie Gill. After running her flower-arranging business out of her home, she wanted to expand to a flower shop and cafe called Native Poppy. “I had two years of experience with profit, but I got rejected for every loan I tried for,” she says. A normal small-business loan has 5 to 10 percent interest, but she took a loan from an online company. “It was at 18 percent interest, and I had to pay it within three years, which was a risk I was willing to take because I had no other options,” she says. Banks are restricted in whom they can choose for loans, says Carty Davis, an investment banker with C Squared Advisors. Davis says banks have certain criteria that must be met, such as a good credit history. He suggests that if potential borrowers don’t have that, they can go to the federal Small Business Administration. But here’s the issue for lower-income communities: Those loans still require big cash down payments or home equity, which business owners may not have. There are alternative ways of getting financing, such as from a company like Mission Driven Finance. In addition to investing in small community businesses, Mission Driven Finance also helps people looking for small-business loans better understand the technicalities of borrowing money to open or expand businesses. The point, founder Lauren Grattan says, is to invest in neighborhoods that really need it. Because when businesses succeed, they hire locally and the entire community reaps the benefits. Our panelists predict what will be the most surprising revelation of the Mueller Report.